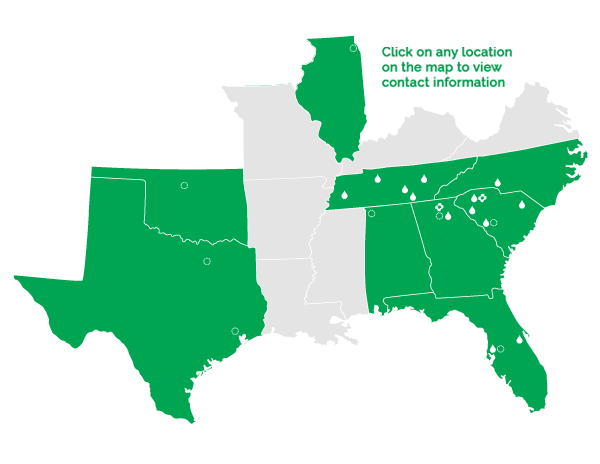 Team Logistics currently operates 70 petroleum and DEF (diesel exhaust fluid) transports across the southern United States. This extensive footprint allows us to proactively respond to our customer's demands for safe, efficient and reliable logistics services. Our team of seasoned operations personnel, drivers and industry experts know how to serve your fuel delivery needs safely, accurately and dependably--everytime. Click on our delivery coverage map for specific location and contact information. 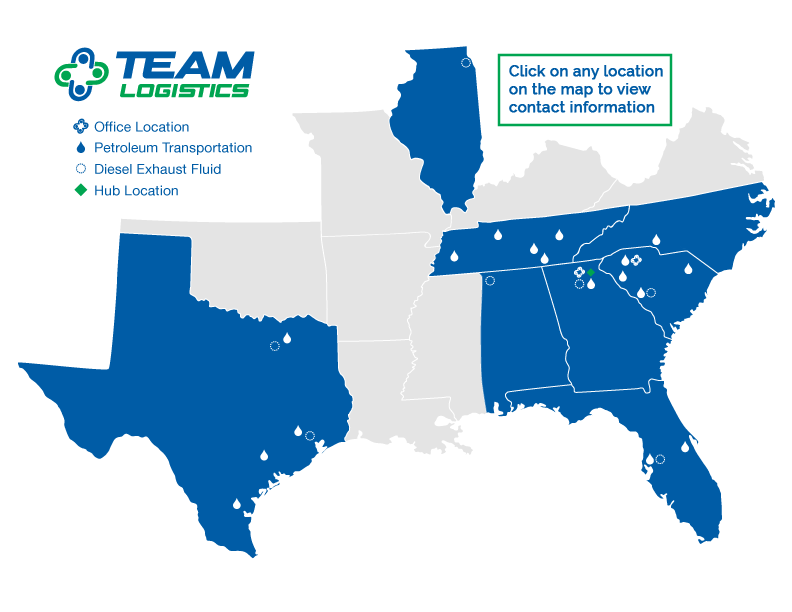 Team Logistics is a joint venture between Mansfield Systems, Inc., a wholly owned subsidiary of Mansfield Energy Corp, and Lincoln Transportation, Inc., a wholly owned subsidiary of Lincoln Energy Solutions. Mansfield Energy Corp is North America's largest energy supply and logistics provider, and Lincoln Energy Solutions is a 30 year leader in petroleum and alternative fuel delivery. The formation of Team Logistics creates a fuel delivery solutions provider offering safe, efficient and reliable service based on a solid foundation of market leadership and expertise.